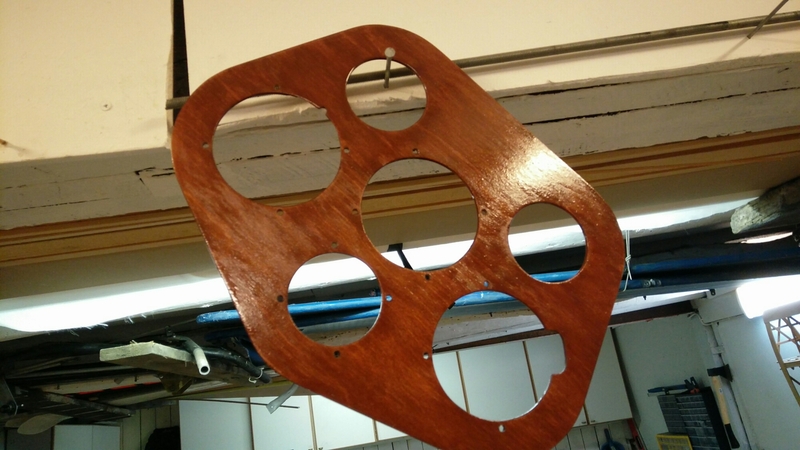 I masked the gluing area before I varnished the inside of the plywood sheet.i use just a thin layer to save weight. 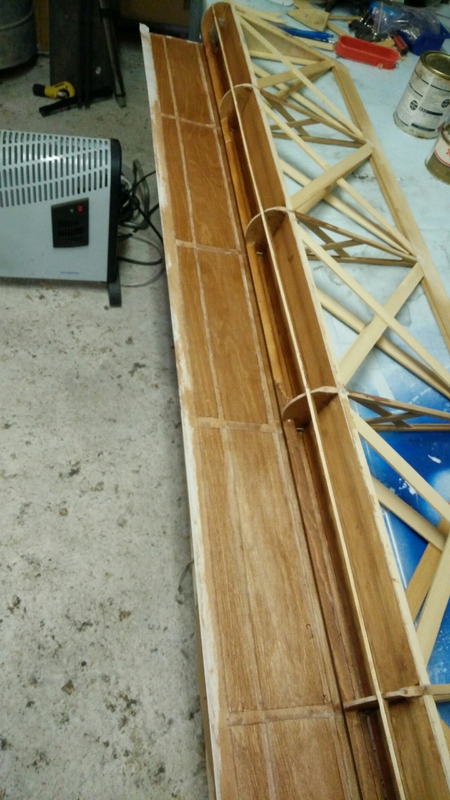 Next time I will glue the sheet completely to the aileron. I had some varnish over, so I painted the instrument panel some more.